Info Panel – Use the Info tool to select a feature and attribute data is shown in the Info panel. Data Grid – You can use this grid to see all data within a layer. 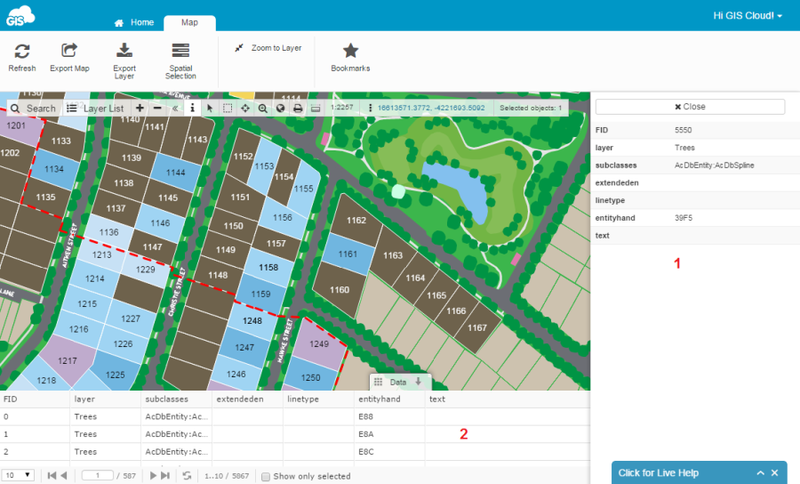 Select the layer and open the Data grid; this gives you an easy access to the data and an understanding of which data in the table is visualized as object on the map. Select a row in the table and it will be shown on the map.